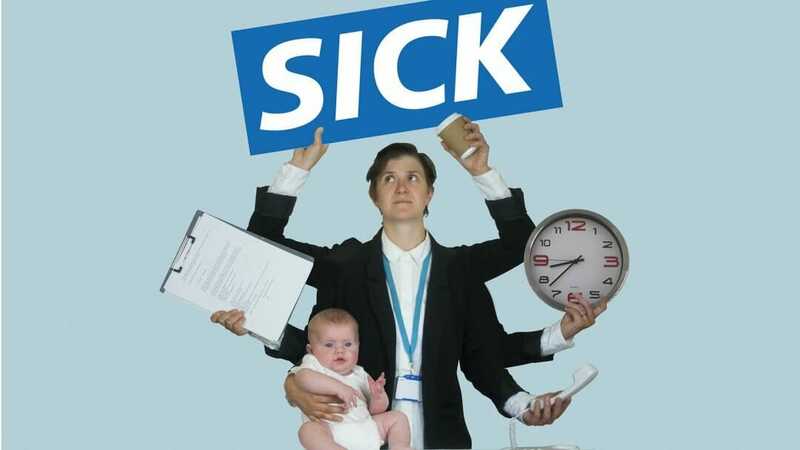 SICK is a funny, entertaining and at times tragic show about the impact of austerity on the National Health Service. As scriptwriter and performer Shey Hargreaves draws on her real life experience as a receptionist in a busy A&E unit, we find out how government funding cuts have impacted on patients, their families and friends and the staff who care for them. Amidst the organised chaos of the emergency department, with queues in the waiting room, targets to meet phlegm and bodily fluids aplenty, Shey attempts to remain calm and imperturbable. SICK gives us a behind-the-scenes insight into the relationships, protocols, and bureaucracy of the NHS and how it works. At the same time we see glimpses of Shey’s personal life and her own coming-out story, leaving her boyfriend, meeting her wife and becoming a parent. After leaving university with an MA in scriptwriting Shey worked as a receptionist on an Accident and Emergency unit for four years. Her desk was right in the middle of the ward and events unfolding around her gave her a unique viewpoint on life in the NHS. ‘The medical staff had to be so focussed and intense but while I was incredibly busy and right in the heart of it I had a unique viewpoint of the bigger picture and could see individual stories unfold’ added Shey. Molly Naylor is co-writer and creator of Sky One sitcom After Hours. Molly wrote and performed the autobiographical show Whenever I Get Blown Up I Think Of You, which toured internationally and was adapted for BBC Radio 4, and recently directed her first short film Callback. SICK is at The King’s Head Theatre 24th – 25th March 2019.